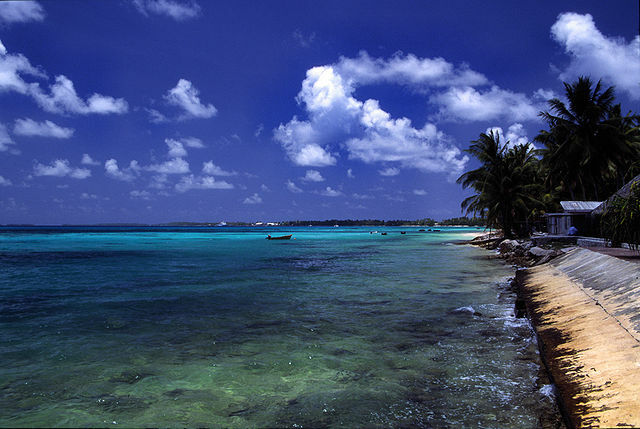 Tuvalu is a small Polynesian island nation with a population of just over 10,500 people. 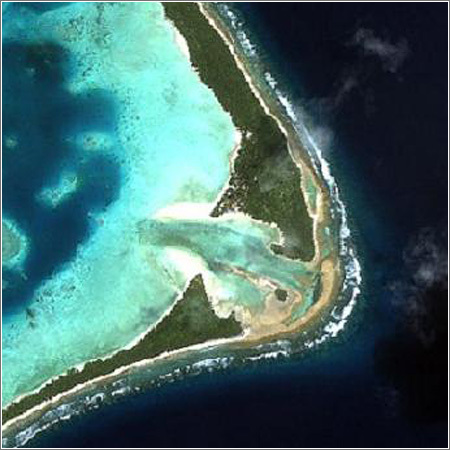 Like most islands in the South Pacific, it has been among the first nations to be hard hit by climate change. With most of the island at less than 3 feet above sea level, and with the oceans rising at an alarming rate, Tuvalu is at high risk of becoming uninhabitable. In response, Tuvalu has made a bold commitment to shift to 100% renewable electricity by 2020 and also by that date to increase energy efficiency by 30%. 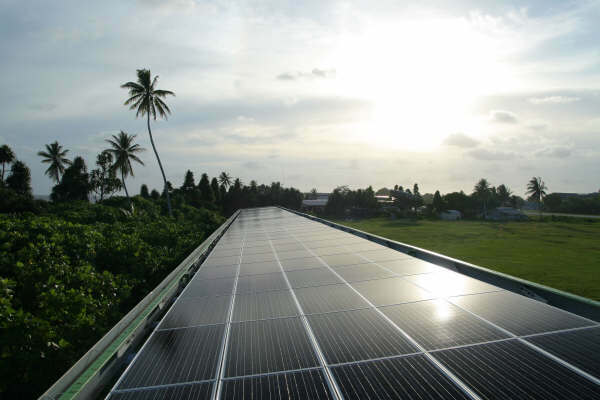 The effort kicked off with a 40 kw rooftop solar system that supplies 5% of the capital city of Funafuti's power. In just over a year of producing electricity, the solar plant replaced the need to import approximately 4,500 gallons of diesel fuel and decreased the nation's carbon footprint by 50 tons. The installation was donated by e8, an international non-profit organization made up of 10 major electricity companies from the G8 nations. The next project in line was a 46 kilowatt solar power system that has been installed on the local secondary school for an estimated cost of $800,000. The island also is making use of biogas from pig manure. With the support of ADEME and UNDP, a training program for biogas installation was implemented on the island. $20 million will be needed to reach the goal of carbon neutrality. To put that in perspective, if everyone in Australia or metropolitan New York City gave about $1 USD, Tuvalu could reach their goal. 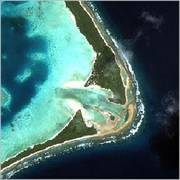 Although if there is a hope of saving islands like Tuvalu from going under water, the world will also need to rapidly switch to 100% renewable energy, reforest, as well as conserve and more efficiently use energy. In January 2014, the World Bank approved a US$7 million grant from its International Development Association for the Tuvalu Energy Sector Development Project (ESDP) to support Tuvalu’s renewable energy and efficiency goals. The project notably includes a Gender Scoping Study that was undertaken during ESDP preparations, and a Gender Action Plan and Monitoring and Evaluation Framework that followed the preparation. The goal, according to the World Bank announcement, " is to ensure men and women have equal input into the project’s design and implementation, and share equally in the benefits of increased energy affordability." Another sign of progress was announced in April 2015, when Solarcity and Infratec Renewables began construction of a build a 170kW of solar photovoltaic system on two Government owned buildings in Funafuti. The US $780k project is expected deliver 5% of the island's energy demand, reduce diesel imports by 62,000 litres a year, cut carbon emissions by 185 tonnes a year, and save Tuvalu more than $2 million over the lifetime of the system.